This 4-month-old little girl looks like a bowl of cookies and cream ice cream, hence the name Oreo! Oreo’s foster family says she’s an amazing mix of mellow sweetness and puppy mischief! She’s very calm and patient when waiting for dinner or at the door to go in and out. She’s does fantastic with all adults, kids and strangers. She’s super friendly and loves dogs of all sizes. She loves cats, too, but will back off if the cat doesn’t like her. Even though she’s already 26 pounds, she’s still all puppy. 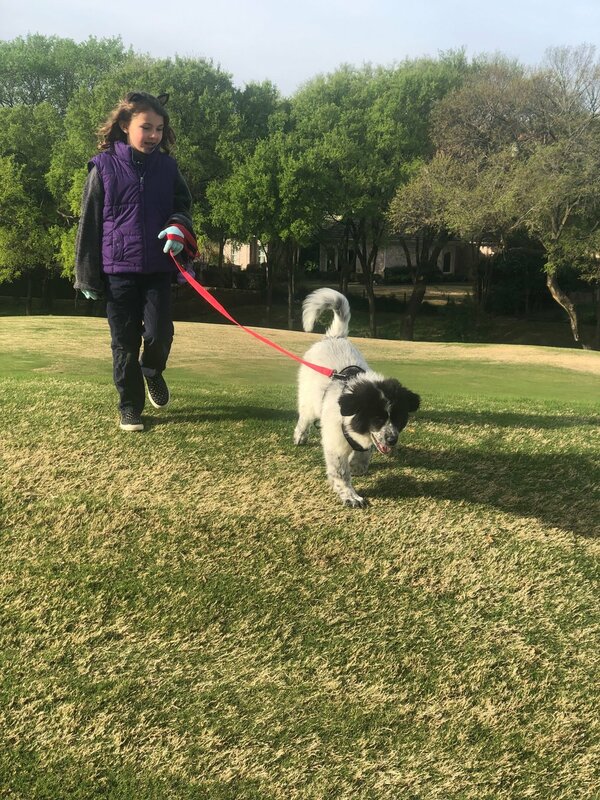 Oreo will need a family who will work with her on training and manners. She’s doing great on potty training but will need lots of consistency to become fully house broken. She really likes to counter surf, but is getting much better as her fosters have worked with her. One of the sweetest things Oreo does is “leans” her whole body into you to ask for love and attention. This sweetie is a total cuddle bug! She also loves toys and bones, and is content in her crate with a Kong or other chew toys. 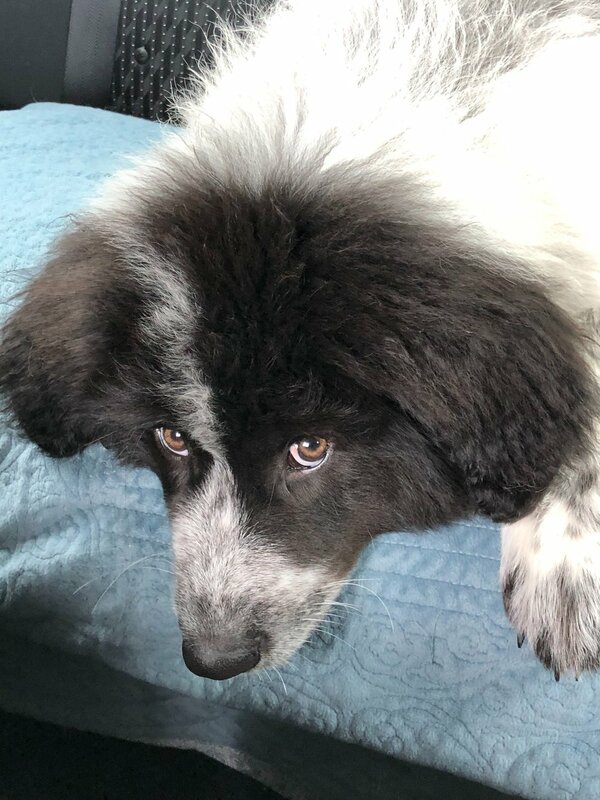 We think she is a Great Pyrenees mix, but aren’t sure. Regardless, we can tell she is going to be a very big dog. She has a beautiful coat, but she definitely sheds. Oreo is current on vaccinations for her age. 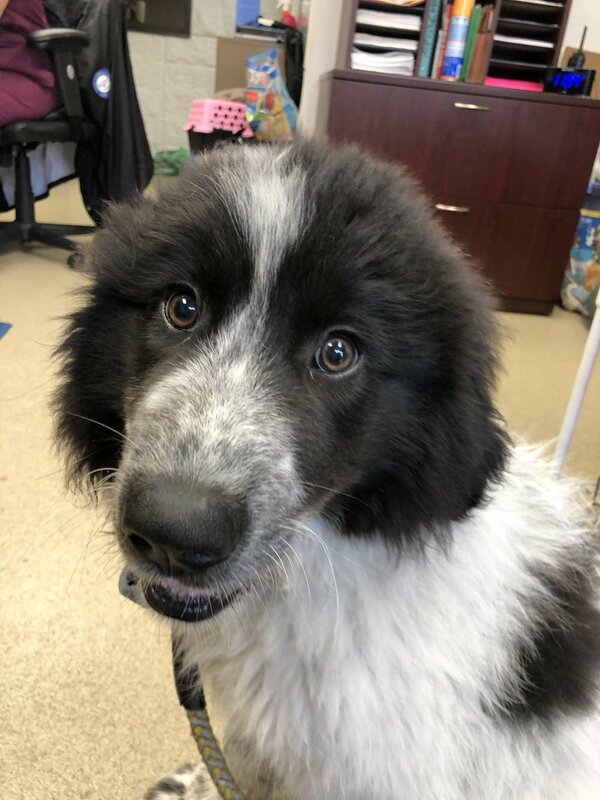 She will need additional shots and will need to be spayed when she is 6 months old, which is covered by her adoption fee if you use one of Doodle Dandy’s partner vets.